Rent villas and apartments in Porto Santo Stefano, Italy. Book affordable holiday rentals that are near a beach and golf course. This 2 bedroom apartment is located in Porto Santo Stefano and sleeps 4 people. It has WiFi, a garden and parking nearby. The apartment is within walking distance of a beach. 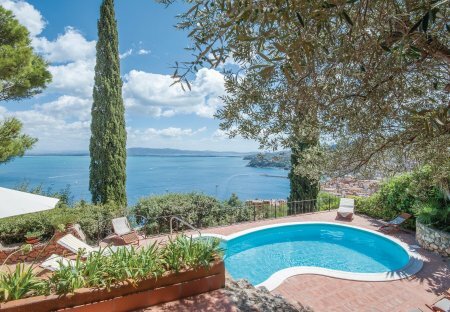 Beautiful independent panoramic house with private pool in dominating position over Porto Santo Stefano, one of the most exclusive sites of Tuscan coast. From the large terrace. 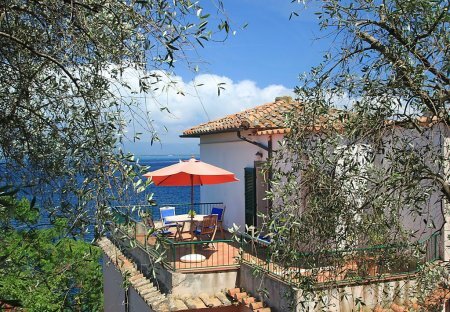 This lovely annex includes a well equipped terrace for outdoor meals and is only 200m from the Pozzarello beach in Porto S. Stefano. Cosy ground floor apartment in a two-family house with private and equipped external area for relax and outdoor dining. 200 m from the beach of Pozzarello in Porto Santo Stefano.